Registering your Rheem products allows you to access included warranty benefits, opt to extend warranty coverage and take advantage of other valuable Rheem support services. Have your product serial number handy, then select Water Heating or Heating & Cooling to begin the quick registration process. If you've already registered your Rheem product and would like to verify your warranty terms and coverage, click the applicable product category to the right to get started. Your serial number is required for verification. 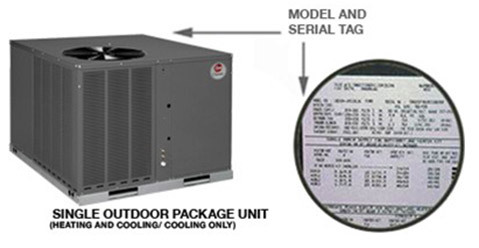 Limited Warranties apply to select Rheem Heating & Cooling Products. 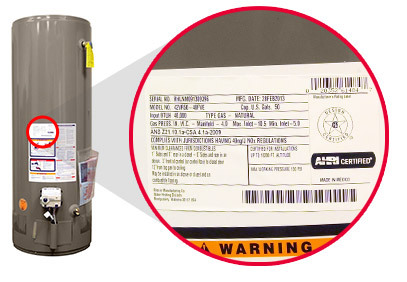 View Rheem's Warranty Guides for applicable products, terms and conditions. 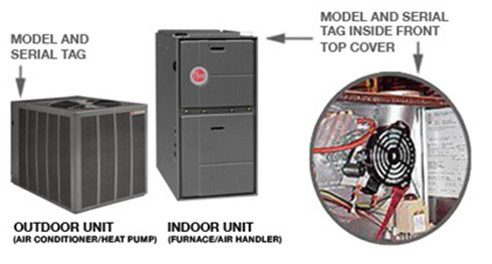 Contact your local independent contractor for any service you require on your Rheem products. Model and serial numbers can be found on your original warranty or sales invoice. If you do not have access to these documents, this information can be found on the unit itself. 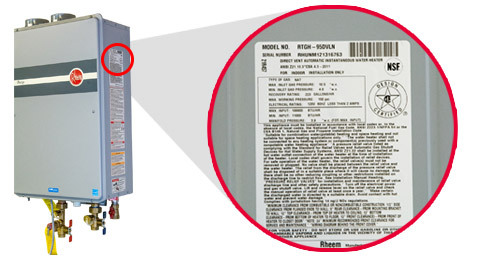 The label containing model and serial number information can be found on the back of the outdoor unit and on the inside front cover of the indoor unit. Two Model and Serial Tags Identify Split System Equipment. The careful inspection of Water Heating and HVAC equipment in the areas effected is key to proper function and safety moving forward. Flooding, or partial submersion of HVAC equipment, can damage safety features within the unit and the controls. Consumers whose units may have been subjected to flooding are advised to immediately contact a professional service contractor to assess all heating, ventilation and air conditioning equipment before resuming operation. We recommend that any equipment subjected to flooding be replaced and scrapped to avoid any risk of injury or harm. In the short term, the equipment may run; but over time, wiring harnesses and other components may have long-term issues and suffer degradation of safety functions, reliability, and performance. Immersion or partial immersion by floodwaters of the equipment can compromise its key operational components, in which case the warranty will be voided. Flood damaged equipment should be handled as a homeowner's or building owner's insurance claim, and the equipment should be replaced. This equipment should not be repaired as a warranty claim or serviced on a standard call.